VuvuX, Other Effect Plug-in from Prosoniq. Prosoniq announced its own Vuvuzela filtering plug in based on sonicWORX' audio de-mixing technology. This technology does not use a notch filter or parametric EQ to remove the noise, Prosoniq says. VuvuX is a free Apple AudioUnit plug in that suppresses the noise created by the South African trumpet called "Vuvuzela" in realtime without affecting the audio commentary or the stadium atmosphere, according to the company. There are two ways to filter out the Vuvuzela noise, Prosoniq says: You can use a finely tuned notch filter or a parametric equalizer that zaps one or more of the frequency ranges that the Vuvuzela hum occupies. The problem with this is that the Vuvuzela hum fluctuates, and that the frequencies of the audio commentary overlap with the zapped frequencies. More details are availanle here. Orwell Digital 'Four Worlds' Patch Collection Orwell Digital is proud to announce the immediate availability of the Four Worlds Patch Collection for use with Apple's Logic Studio music production software. Peavey AmpKit Peavey Electronics and Agile Partners announced AmpKit, a guitar amp and effects iPhone application, and AmpKit LiNK, a high fidelity audio interface for the iPhone, iPod touch and iPad. 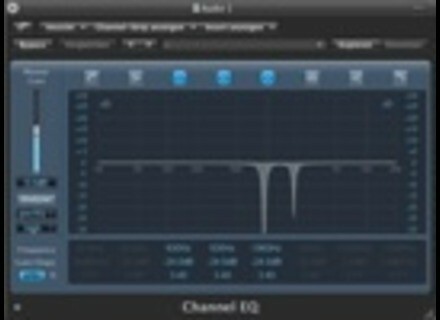 Mutools Updates MU.LAB 3 MUTOOLS has announced the release of version 3.1 of MU.LAB.